We have all read them…. 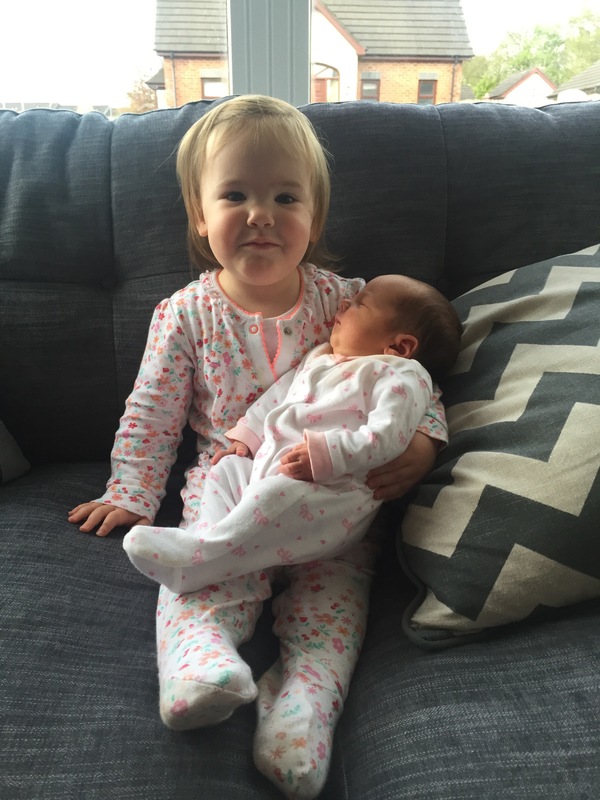 The articles and blogs written by mums that describe those first months of motherhood. They may be recounting blissful days where colour has now been introduced to their previously ‘black & white’ lives. Alternatively, they could be referring to that ‘numb haze’, where everything that once was colourful now appears a little more grey and dull. Motherhood – how can this be defined so differently by so many? I used to get annoyed reading those ‘The truth about what it is like to have a new baby’ style blogs. The writers would conclude that these would be the darkest and most challenging days of your life, and if any person were to say differently, then they would in fact be lying. Then, I had Annie. And, please baby girl, don’t ever read this in years to come and think that I loved you any less, because that could not be further from the truth. From 7 weeks pregnant with little Annie, I felt truly horrific. The pregnancy was very hard and at times frightening, but we got ‘there’ ….and after a relatively ‘easy’ labour, I had my little new born. Those early weeks again were filled with joyous moments. Annie fed well and I was overflowing with all those amazing endorphins. My days consisted of endless, sweet baby cuddles. The girls meeting and getting to know one another will forever be the most precious days of my life. I was back in the throes of blissful motherhood …….or so I thought. Then along came week six. This was when the colic/silent reflux/ ‘What is going on?’ struck and life as I knew it changed. The mother that I thought I was, changed. My confidence was knocked and I constantly felt anxious, always awaiting the next crying fit. I worked with it, and told myself that things would get easier. Weeks passed with my baby that cried from 11am to 11pm, hated her car seat, hated the pram and wouldn’t take a bottle from anyone. I found myself feeling increasingly isolated and alone. I am lucky to have family that could take Bella for me at times, to help out, but on many days that just hurt more. I was missing my little girl. I saw her happiest times being those spent with others and me being separated from Bella wasn’t giving me a break from Annie’s constant crying. Now, my tears were complete ‘frustration’. Frustration, because I had tried everything, and I just could not make my baby happy. I felt useless and started to blame everything I ate or didn’t eat……I blamed me! Leaving the house became a nightmare and I know that if wasn’t for Bella, then I wouldn’t have attempted to go anywhere. But for my little girl’s sake, I would regularly arrange trips out. Inevitably, this would end up with me comforting a screaming Annie, whilst pushing an empty pram with the free hand. Despite the challenges that I have faced throughout my mere 2years worth of parenting, I would say that the hard work and teary eyes are absolutely worth it. So I can see both sides. I see the ultimate bliss and ease of motherhood, followed by the torment of feeling inferior and frustrated with myself as a parent. I fall into both blogging ‘camps’ so to speak. Those blissful amazing new born baby days really do exist, and I was lucky enough to experience them with both my girls. But every pregnancy is different, every baby is different, and you can be the same person but a different mother to each of your children. Motherhood experiences have no boundaries. Your experience isn’t correlated to your age, social status or the amount of love and support you are given. I think this is pretty reassuring for mums who have had a tough time with a little one and are letting previous experiences put them off having another. Next time may well be easier and if they are not right now, brighter times do exist. I have read countless times that we should ‘support one another’. Many of these articles are also guilty of attempting to reassure women who are struggling by talking negatively about those who appear to ‘have it all’, accusing them of being untruthful, or employing nannies or having their priorities wrong etc. It reminds me of that post that is circulating at the moment about ‘real postpartum bodies’ ….what rubbish! I have yet to meet a woman that gave birth to a baby in a fake body. Women shouldn’t be called ‘lucky’ or ‘shallow’ or accused of having their priorities wrong, but that is for another day. In order to raise ourselves and others up, we really shouldn’t have to put others down. I personally believe that there IS a ‘real truth about pregnancy, life with a new baby and motherhood’. They are ALL real, whether that is ‘blissful’ or the ‘hardest days of your life’. Every pregnancy, every baby and every mother is different and when things are tough, you should be reassured by the fact that every day is also different, and that you can hope for a brighter tomorrow. Very well written Anna. Agreed. It’s all real. The good, the bad, the beautiful, the ugly. That which we make known to others and that which we keep private. We’re all living it. Glad you’re getting through. Seeing that sisterly relationship blossoming has been one of the best parts for us in our family.